12 Top Tips For Market Stalls! 1. Bring a positive attitude & share your story. Markets are welcoming environments. 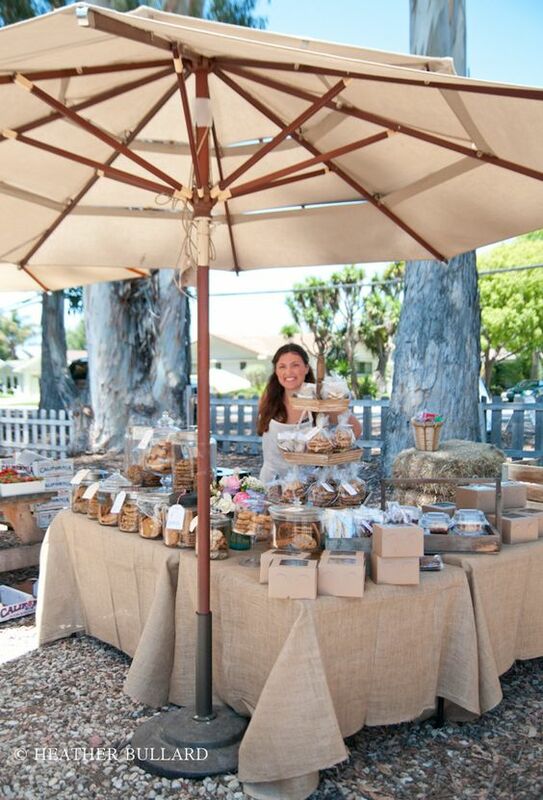 Customers come to markets to engage, be approachable and always have a good attitude. Markets are an opportunity for the public to meet the maker, producer, farmer. People will enjoy a chat about your products and your story. Willingness to hold a friendly conversation and sustain a positive attitude will go a long way. Customers like to feel special and that you care, they are much happier to invest their money into something that they feel connected to. It’s good for building your brand for customers to know the process of how your product is made, think about showing the process or having some images or references ready for when customers ask. Be open to feedback. Let people know you are coming along to Harbourside Markets, let them know what you will be selling, take some photos and get your friends to share. Posts to the market facebook page will, in turn, be happily shared. Put together a kit of useful stuff. A notebook – keep track of your sales on the day and also to take requests from customers, ideas for next time or general suggestions. Other useful bits and pieces include – calculator, sticky tape, scissors, extra product packaging, spare pen, pegs or bulldog clips, masking tape, blue tac, push pins, a small hammer, tissues or wipes Bring snacks and a water bottle for energy and to keep hydrated. It can be a long day. A buddy to man your table is also good idea if you have one around. Let customers browse through your items without feeling pressured in to buying right away. And don’t watch them like a hawk! You want people to feel comfortable browsing and exploring your stall. Markets are not just about the sales! Markets are about advertising your business, getting your name and products out there and getting valuable feedback. Have business cards or brochures within easy reach (and plenty of them!). People may not want to make a purchase on the day, but give them a way to follow you up, such as an email address, website, etc. A small sign with your business name clearly displayed is essential. The most powerful form of marketing is word-of-mouth marketing. After all, the marketplace is the world’s oldest social network. Your stall should be a welcoming and inviting space for people to be drawn to! Busy markets are awash with colour, sound and distractions, potential customers can easily pass you by if not drawn in by your display. If you have a table try and balance your product out so it’s a combination of height displays so that you can see everything from standing away and not just looking straight down on the table. Make it eye catching and easy for your customers to see everything and not over accessorised or cluttered that customers have to dig around. Make products accessible so they can look at them themselves and try on, or have a closer look. If you just have clothing racks, bring life to your area and make it inviting. Add some furniture and props, show how the product is worn, have a lookbook or images of a photoshoot ready and on display. Make it easy for customers to see and understand your product. If your product is clothing, jewellery or accessories always wear it or get your staff/ friends to. You will be surprised at what a difference this makes as you will show the products off in the best possible way and show that you are confident about its functionality. Decide what your high turnover items will be and place them prominently. They may make you a smaller profit margin than your other items, however, these are the items that will draw customers in to your stall, and provide you with the means to keep your stall running, week in, week out. Once drawn in by your prominent, more budget friendly items, it’s likely one or two of your items with a higher profit margin will take their eye too. Make sure pricing and information signs are clearly displayed. Some customers may not feel comfortable asking. There’s no need to splash out on expensive displays when you’re just starting out. There are simpler, more cost effective ways to attract potential customers into your stall. Make your stall presentable and welcoming by buying or borrowing tables and a marquee. Put down table cloths. Its a good idea to practice your stall setup at home first. Display your products as you would on market day. See exactly how much stock you can fit in and the best way to display each item. Don’t just shove as much stock in as you can, think about the space and the best way to show off your wares. Prices must be clearly displayed for every item. Customers shouldn’t have to ask and you don’t want to lose a sale because of something so simple! Always be prepared with stock. Sizes, packaging and alternatives ready on the day. Always over compensate for what you predict will sell, so you will have left over stock ready for re-orders or possible wholesalers. Whilst it is exciting to sell out, nothing looks worse than an empty stall! Have an idea of your prices before you set up your stall. Customers will easily lose interest if you take too long to decide on a price, you may also lose the interest of others waiting for your attention. Busy periods will require you to attend to multiple customers at once, you will make things easier on yourself if you can promptly tell each customer how much you want for each item. Have a good float to make change. Allow for the first two customers of the day giving you a $100 or $50 note for a $5 purchase. It happens! Think about the cost of your products and how you’ll generally be making change, allow for this when organising your float. Keep your money safe! Get to the market early. Parking, setting up and unloading between two stalls which are already set up can be difficult. If you intend on becoming a regular stallholder, find out what time your neighbours arrive so you can co-ordinate. If you’re planning on making a business out of holding a stall regularly, don’t go all out, too early. This breeds unrealistic expectations and can lead to failure before you even start to get on a roll. Start with what you can afford and let your business grow organically. Minimise your overheads as much as possible until your business starts to turn a profit, then use that profit to invest in additions to your stall. If you can do something yourself, don’t pay somebody else to do it. If you can’t afford the equipment, signage or the bigger vehicle you want, don’t buy it. If you have the right product, in the right market, with the ability to sell it, you’ll be able to afford these things eventually. All good things come to those who wait. This last tip also applies mostly to those planning on holding a stall regularly. Becoming a regular market stallholder will require a great deal of fortitude. You will be sourcing items before you hold your stall, trying your best to get said items at the lowest possible price you can, packing your vehicle the night before, waking up early, setting up, sometimes in the rain, you may be competing with others doing the same thing, while trying to get the best profit margin you can for each of your items. Once you start understanding your products and your customers more, where your strengths lie, then playing to those strengths, you’ll find yourself getting on a roll, having your stall run like clockwork and eventually wondering what you were so worried about when you started.